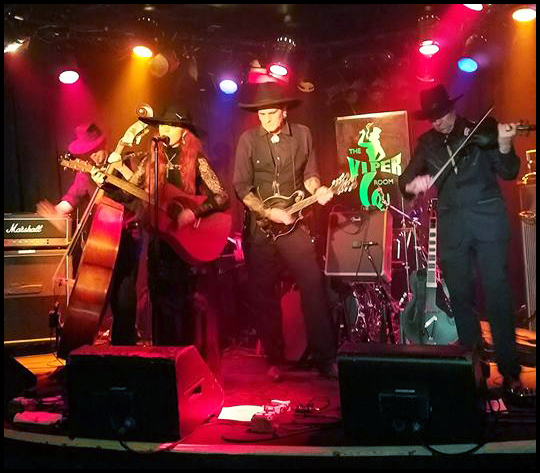 The Heathen Apostles would like to thank the amazing Benedikt Brydern for filling in on violin at the recent Viper Room show, and thanks to all that made it out, the band had a blast. They will now be heading back into the studio to finish recording their upcoming Bloodgrass EP, check back for the release date and more info. This entry was posted on August 16, 2017. It was filed under News.